Food smoking refers to the process of flavoring or preserving your food with smoke from smoldering material such as wood chips, dry flowers or hay. Food smoking can be categorized into four types, namely cold smoking, warm smoking, hot smoking and liquid smoke. Food being smoked with wood chips for example has a unique taste, especially in terms of smell. In fact, most of the flavor of smoked food lies in smell, which contains cellulose and lignin from the burning wood. Just picture that when you are having a barbecue party in your friend’s backyard. You don’t need professional know-how and other tools like grill to get the hang of food smoking. Thanks to Yumyth’s smoke infuser, this cooking technique has never been easier. 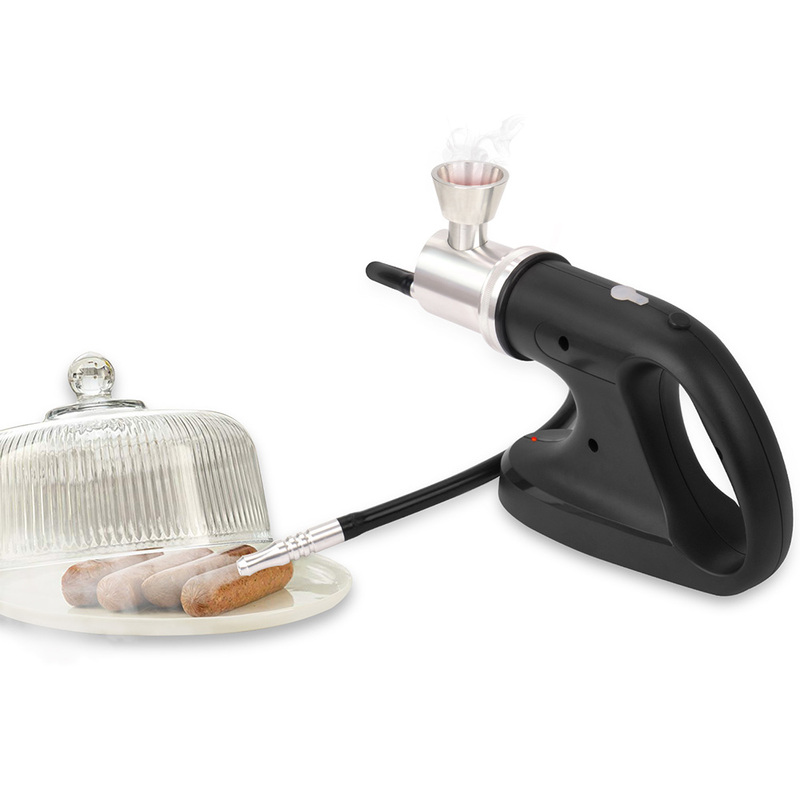 The fantastic food smoke infuser designed by Yumyth is characterized by two functions: vacuum and food smoke. When you use this machine as a food smoker, it quickly infuses the flavor and aroma to the food such as steak, fish, turkey, and veggies without the help of heat. You can use wood chips, herbs or flowers to smoke your food items. On the top of that, smoke infuser is also a great substitute for vacuum food sealers to keep your food items fresh. 1.Put smoldering flavored wood chips into the container. 2.Press the button. The red indicator light will flash slowly. 1.Connect the vacuum hose to vacuum adaptor. 2.Put the round side on the container, zipper lock bags, wine stopper. Hold on to it. 3.Hold the button for seconds until Green light flashes. Then, release the button and the smoke infuser will start vacuuming out the air. 4.You can press the button to stop vacuum anytime, depending on the vacuum status.